The 5.0" Bonika Silk Lefty is a true left handed shear. It behaves like a right handed shear but it's made to fit comfortably in a left handed grip. This lessens the strain on your left hand and prevents the use of a "crab grip" to hold the shears. The convex blade allows you to glide through the hair. 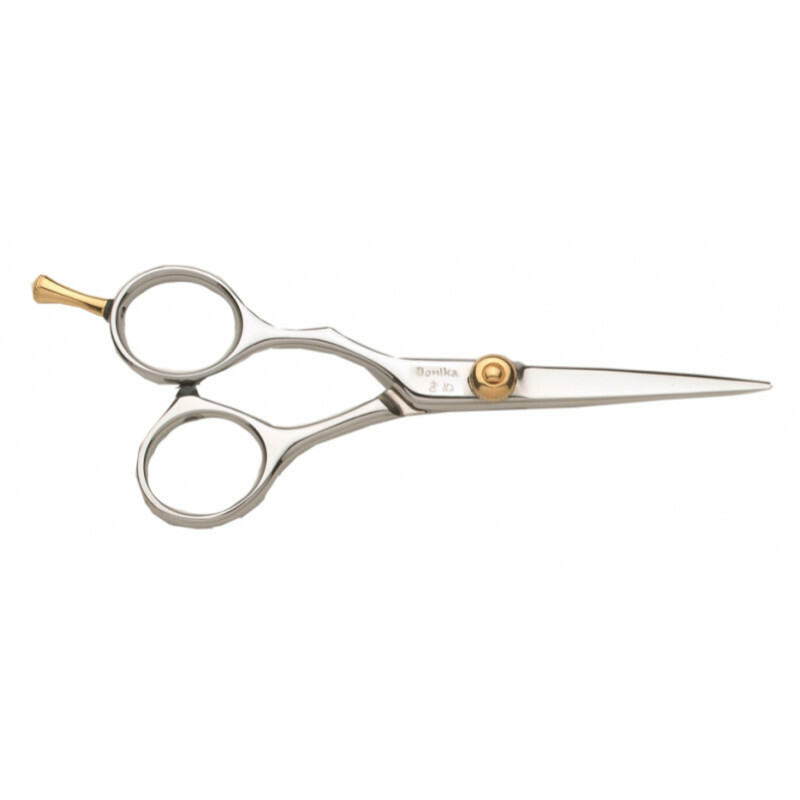 These shears work best with less pressure and a relaxed hand.